In a stand mixer with paddle attachment, beat together sweet potatoes, eggs, brown sugar, and ricotta cheese, scraping the sides of the bowl with a rubber spatula. Mix in cornmeal. With an ice cream scoop and dusted hands, flatten a scoops worth of potato filling into a patty shape, then fold around a tablespoon’s worth of NC barbeque (shredded pork), rolling into a ball on a plate dusted with cornmeal. 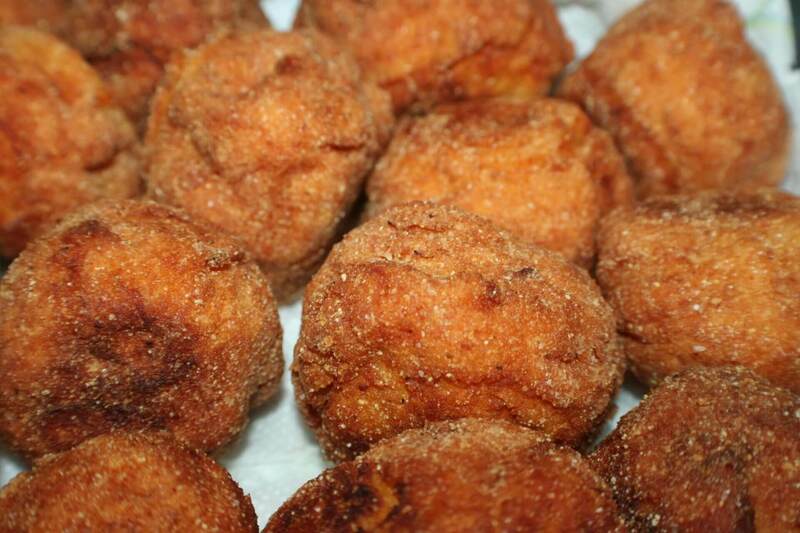 Fry fritters at 350˚ for approximately 5 minutes in small batches in a 4-quart Dutch oven. Serve with Lexington style sauce for dipping, or over stewed or sautéed greens.